Quirky is separating Wink, its smart home app and associated devices, into a separate company, and will fight for consumer mind share with SmartThings, Revolv, Apple’s(s aapl) HomeKit and perhaps Google’s Nest(s goog). There are about a dozen other efforts in this space as well, from older companies like Insteon and iControl to lesser-known options like Alarm.com. It’s a gold rush to bring connected products into the home, but the creation of Wink as its own company also makes sense. Quirky is a company that lets people suggest product ideas, and if enough people in the Quirky community participate, the product is built and proceeds from the sale are shared among the contributors. 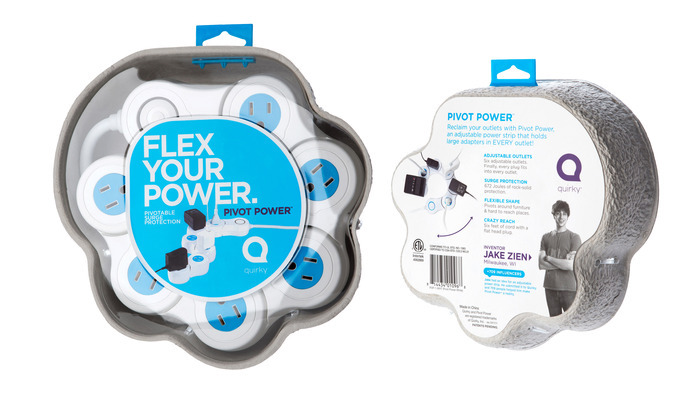 Quirky has created several products that have hit the mainstream; the most popular of those is the pivot plug, a surge protector that twists, so you never block an outlet with a bulky AC adapter plug. But the ideas for connected home products were overwhelming Quirky. In a profile of the startup at the New York Times, Quirky’s founder and CEO Ben Kaufman noted that one out of every four ideas Quirky was getting related to apps and connected devices for the home. Quirky had launched a partnership back in April 2013 with GE(s GE) and Electric Imp to offer inventors a chance to build connected devices and later GE put $30 million into Quirky. 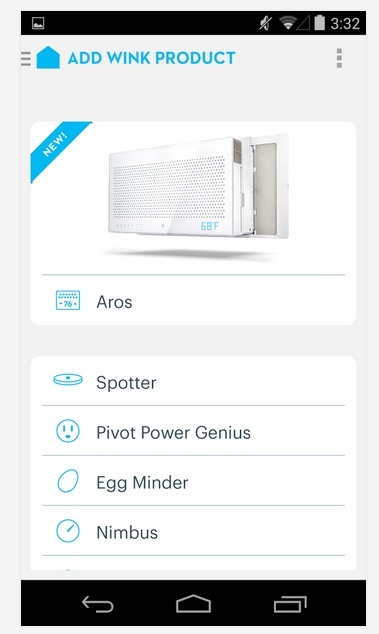 The first round of products was a bit random, involving a connected egg tray, a connected alarm clock/dashboard and a connected pivot plug, but big-name brands are hopping on board with new products that make a little bit more sense, like a connected A/C unit. But the real test of Wink’s success in the market will depends on two things: awesome software and a distribution channel that educates consumers. Thanks to a partnership with Home Depot, the Wink products are on shelves across the country, although in my previous visits to Home Depot, they were not explained well or showcased in a manner that provided much consumer education. I expect that will change now that Wink is getting its own company and Home Depot(s HD) is doubling down on connected home products. For example, Home Depot has decided to stock the Revolv home hub, the Rachio connected sprinklers, the Wink products and an array of older connected home products using Zigbee or Z-wave radios. Right now it has what people in the industry call an “innovation aisle,” but in practice that’s really just a hodgepodge of products. On July 7 it will showcase Wink products from a variety of manufacturers. I hope to see more end cap displays that offer the ability to test and touch the products, closer to what Staples(s SPLS) provides with its connected home displays. The other essential element for a quality connected home experience is good software, and frankly, few providers have managed this when combining more than one device. The only awesome software experience for multiple devices I’ve seen so far is the Savant connected home, but that’s a professional solution. I think the Staples Connect software has promise and am trying to love the SmartThings software, but it’s still too difficult for a novice to program it to do what you want. As for the Wink software, I don’t yet know how well it works. 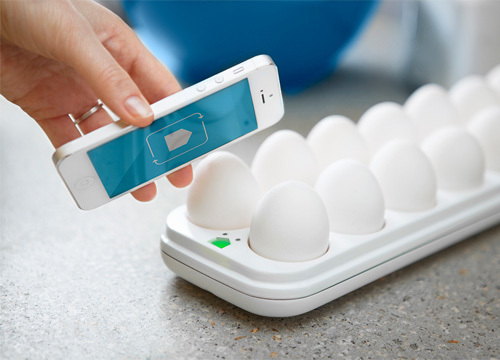 I haven’t been excited enough about any of the Wink devices to pay the premium for a connected egg tray or even yet another connected outlet. I almost bought the Nimbus connected alarm clock and social dashboard, but negative reviews stopped me. But around 60 devices are about to launch with the platform, according to the Times article, which means that I should soon have some options that make a bit more sense for me. In the meantime, I’ll try to get my hands on some Wink gear and run the app through its paces. While the venture community and hardware makers are pumped about the smart home, it’s still a tough sell for mainstream consumers. While hubs and unified apps will help resolve some of the initial confusion about which products work together, it won’t help with the larger issues of explaining why someone should pay a premium for a connected device, then helping them learn how to use it so they don’t return it. For more on the topic, check out the podcast I did last August with Bret Kovacs, the head of Wink’s business development. My Wink software experience has been that if you can get it to work at all, it works only because they leverage other third party devices such as IFTTT (https://ifttt.com/). Without third part websites, the best the Wink app can do is turn lights on and off, or promise to unlock your door for you. In practice, it’s rather unreliable (The Wink/Quirky tech support called it a work in progress). I had several devices with manufacturer apps that were only so-so and thought the Wink unification would help. It didn’t help me anyway, so I deleted it and went back to the individual apps. The home isn’t getting smarter, it’s getting confused. Competition is good but the consumer won’t understand the true potential of the smart home with so many companies sending mixed messages of what their vision of the smart home is. The consumer will get frustrated that they get locked into someone’s Eco system, buy products that don’t communicate with others and are left trying to piece it together themselves. An open standard is the key e.g.